Nicole was a member of the Cause of Death and Burden of Disease research teams. 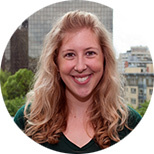 While at IHME, Nicole earned her Master of Public Health at the University of Washington. After IHME, Nicole moved to San Francisco and went on to work as a Research Associate at the Palo Alto Medical Foundation. *Degenhardt L, Baxter AJ, Lee Y, Hall W, Sara GE, Johns N, Flaxman A, Whiteford HA, Vos T. The global epidemiology and burden of psychostimulant dependence: findings from the Global Burden of Disease Study 2010. Drug and Alcohol Dependence. 2014 Apr 1; 137. Degenhardt L, Charlson F, Mathers B, Hall WD, Flaxman AD, Johns N, Vos T. The global epidemiology and burden of opioid dependence: results from the Global Burden of Disease 2010 Study. Addiction. 2014 Mar 25. Cross M, Smith E, Hoy D, Carmona L, Wolfe F, Vos T, Williams B, Gabriel S, Lassere M, Johns N, Buchbinder R, Woolf A, March L. The global burden of rheumatoid arthritis: estimates from the Global Burden of Disease 2010 Study. Annals of the Rheumatic Diseases. 2014 Feb 18. Whiteford HA, Degenhardt L, Rehm J, Baxter AJ, Ferrari AJ, Erskine HE, Charlson FJ, Norman RE, Flaxman AD, Johns N, Burstein R, Murray CJL, Vos T. Global burden of disease attributable to mental and substance use disorders: findings from the Global Burden of Disease Study 2010. The Lancet. 2013 Nov 9; 382:1575-1586. doi:10.1016/S0140-6736(13)61611-6. Degenhardt L, Whiteford HA, Ferrari AJ, Baxter AJ, Charlson FJ, Hall WD, Freedman G, Burstein R, Johns N, Engell RE, Flaxman A, Murray CJL, Vos T. Global burden of disease attributable to illicit drug use and dependence: findings from the Global Burden of Disease Study 2010. The Lancet. 2013 Aug 29. DOI: 10.1016/S0140-6736(13)61530-5.